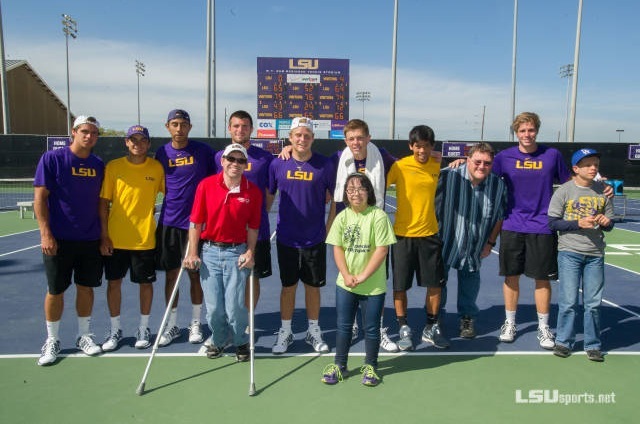 The LSU Men’s Tennis team welcomed some of our athletes yesterday, March 30th, to the Dub Robinson Tennis Stadium for their match with SEC opponent Florida. At a break in action, our athletes were allowed on the court to throw LSU goodies into the stands. After the game, our athletes were able to meet the LSU athletes and have a few photos snapped! Thanks to LSU for making this possible for our athletes. Foam Fest is this weekend and the foam will be extra special! 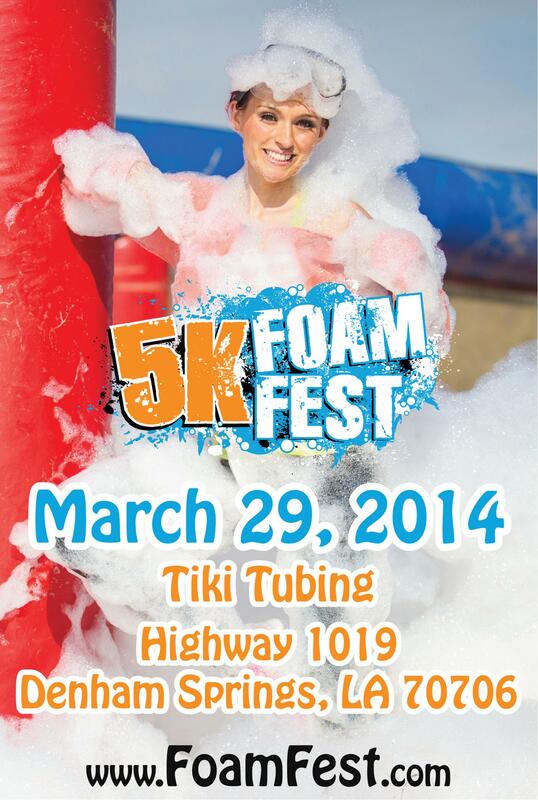 Don’t forget it is not too late to sign up…visit 5KFoamFest.com today to register. Only 3 days left! Remember, if you enter the code OLYMPICS, you will receive $30 off your registration! Follow them on Facebook to check out the awesome photos and obstacles! Watch the video below to see this year’s obstacles. We recently came across this article which perfectly depicts how Unified Sports are changing lives. Amazon.com has an initiative called Amazon Smile, which allows you to support your favorite charity with every purchase online. When you go to smile.amazon.com it will ask you to login to your amazon account and then choose your favorite charity organization. If you type in Special Olympics Louisiana and search, a “Special Olympics Louisiana, Inc” will pop up.Once you have selected your charity, it automatically adds it to your profile and EVERY purchase you make sends 0.5% of that purchase to your charity. If you make an Amazon purchase between now through March 31st, Amazon will donate an additional $5.00 to Special Olympics Louisiana. Team Louisiana is getting ready to compete on a national stage this summer! Meet the 101 members who will represent our state this June in New Jersey! It will cost $100,000 to send the delegation to New Jersey, if you would like to make a donation, visit the Team’s donation page. Every little bit helps! 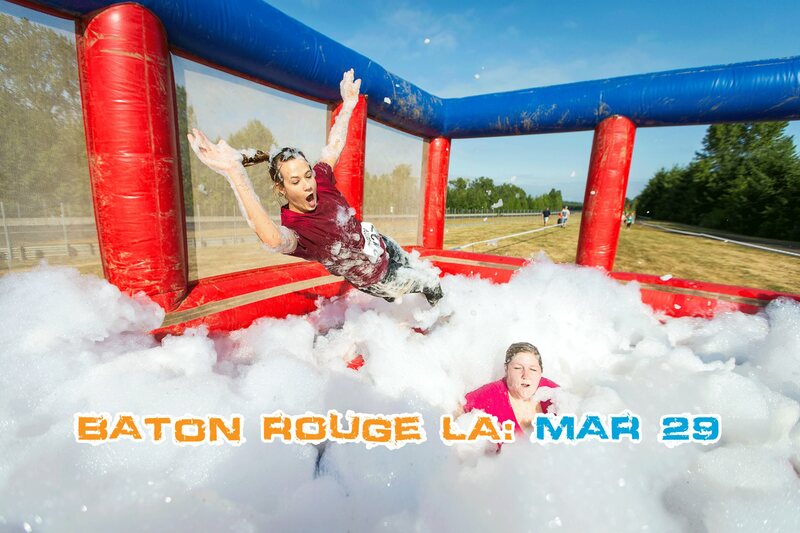 Foam Fest will take place next Saturday, March 29 in Denham Springs, LA and we are once again a beneficiary of the foamy event! This 5k race features many obstacles that will get you full of foam. You can register for the event here and check out some more info. Also, if you use the code, OLYMPICS, you will get $30 off of your registration fee and Special Olympics will get $5! Pretty cool, isn’t it?! Hope to see you in the foam! Today is International Happy Day and was established by the United Nations General Assembly on June 28, 2012! We are Happy today because we are less than 100 days away from 2014 USA Games and our State Summer Games are right around the corner. Comment below and tell us why you are HAPPY today!